Gold is due for a bounce before continue lower. I do not think gold is bearish. Next year will reach 1500 above. A breakout from level 1292 and return back to breakout level and rally up again. I just long it yesterday. Long term investment. This year closing at 1358, next year big possibility reaching 1500 above. Not sure where you found me taking about long term? Chart only shows 20 weeks at the most and in long team we know only one thing for sure. Your weekly chart is pointing down. Please stop playing with your bit coins and start paying attention. I said daily model is due for a bonce and it did bonce. I also pointed out that weekly model have not bottomed yet and there is no prove that it did. I own gold and want to buy more but not now and I want to buy at the lower price, possibly sometime Feb 2018. I do not insist on February 2018, seasonally however, it is a possibility and should be confirmed or dismissed soon, sometime in November. Low on 10/5 needs hold for upward trend to continue. Goh, some of your projections have been amazing this year, really spot on. 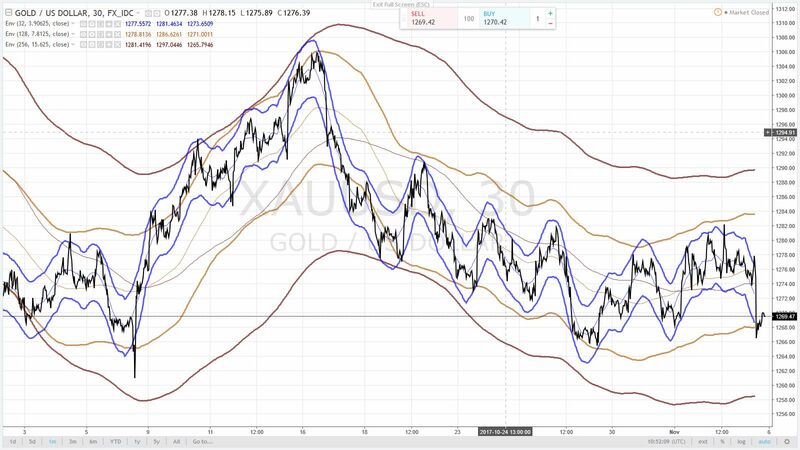 I have been studying charts created by a professional trader on GLD with lagging half span MA’s according to his cycle analysis. The charts agree with your current analysis. I do have a (ST) projection to 117 +/-. Lisa, I have a problem reading Goh charts the way you do, probably it is me. But chart clearly points to 1479 and no pullback. My chart however sees opportunity for pullback to about 1170. Gold is below 10 w and 20 w FLD and pressure is mounting. I’m not speaking of his charts. To tell you the truth, I don’t really understand them. They seem to point to Terry Laundry’s T-charts, rather than Hurst cycles, but not sure. I’m speaking of his projections a long time ago based on his unique style of cycle charting - while everyone was speaking of a July decline into an August low, Goh was speaking of first SPX 2500 (which everyone was expecting), then 2700 SPX by October. We are ten points shy of that. I know this is not the SPX forum, but am using this example to point out some of his accuracy. The problem I have with the current gold analysis (decline into December into 116, including my chart) is that it is a terribly overcrowded trade. I see this perpetually mentioned on gold forums. I traditionally find when many people are expecting the same thing, Hurst or no Hurst, a monkey wrench is going to get thrown somewhere. Such as the July decline into the August low, which did happen. However, it happened at the very end, while people here were started to say, “Well, maybe the August low was early in April…”. as the indices powered up in July. BTW, I have invited a Hurst expert to this board who trades according the original half span moving averages used in Hurst’s book ‘Profit Magic…’. I hope he starts posting soon as his input has been very valuable to my cycle analysis. There is a grave misconception about cycles and cyclic models and it needs to be addressed. Cycles are dynamic so are the models. Predictive models are instantaneous views and the time window is rarely larger than ½ of the smallest cycle used to build a model. For example, stability window for the standard Hurst model (10:20:40:80:140) is at the most 5 to 10 days. Some model building concepts are designed to minimize inside variance by using different levels of averaging thus sacrificing immediate signal precision. Both cycle length and amplitude are dynamic and my approach is monitor model’s stability by comparing lagging and current projection. Can you trade cyclic model along NO! Other tools for example David Hickson has interesting play on FLD interaction with price action. I like Gann ‘high low indicator’, Gann swing charts, Murray math. 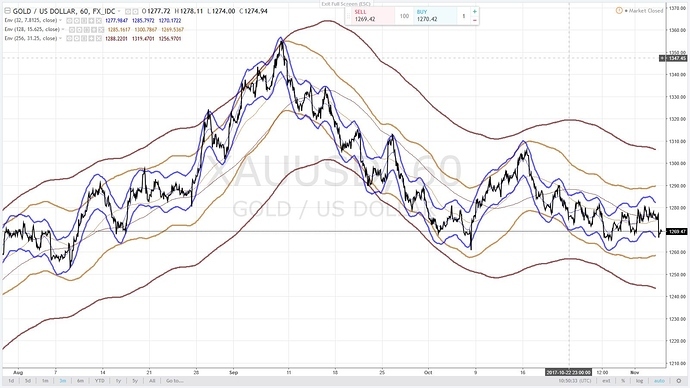 Looking at the Gold chart above (09/26/2017) daily trend is down. The trend was derived by simply looking at Average model and Immediate model. C1… C3 are model conformation anchors. We are looking for model conformation at real time. One, better yet 2 anchors must be confirmed at the time of the trade. This is just one of several ways to confirm model’s stability. Next chart brings us to 10/6/2017. The daily trend is still down. 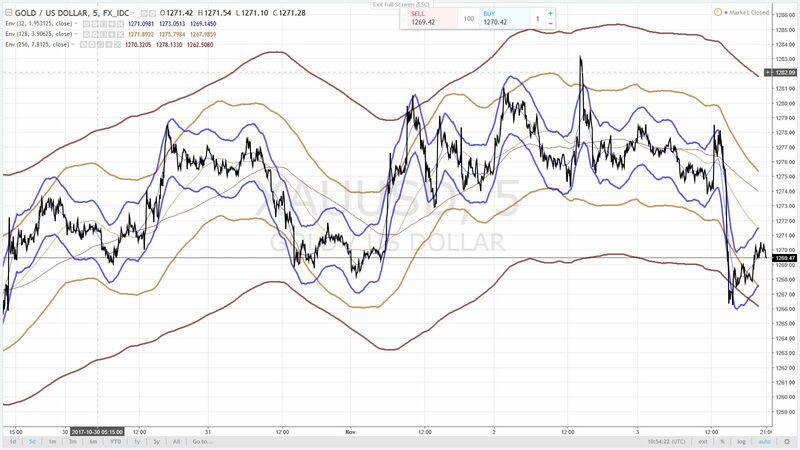 We have C1 and C2 anchors confirmed and have a choice to enter risky trade against the trend or wait for conformation of anchor C3 and enter safer short trade. Use Gann’s high low activator to initiate position. Next chart 10/16/2017. The daily trend is still down. All 3 anchors are confirmed and low risk short trade should be considered. I intentionally use Gold models floating around on this forum and not necessary best or current. The analysis somewhat simplistic. Weekly Gold must be analyzed to provide better understanding for decision making on the daily chart. New anchor pattern is developing. Dominant Dynamic Cycles morph over time because of the nature of inner parameters of length and phase. Active Dominant Cycles do not abruptly jump from one length to another. Typically, one dominant cycle will remain active for a longer period and vary around the core parameters. Final chart, I have added ‘Immediate Delayed Model’ 10 days ( Red) full correlation to Immediate model grey. And Lisa, when correlation stops it does not mean that the approach is wrong or the model is completely invalidated. But it does require to step back to reconsider some model parameters.The main thing it keeps you on the right side of trade. Not all markets and not all the time suitable for Hurst type of analysis. The trick is to know when to step back. You can do worse and start consulting starts. Goh, if you are still long please disregard my rumblings all together. That is an excellent post! Like yourself I feel that having a thorough understanding of the dynamic nature of cyclical analysis, regardless of the technique used, is crucial to successful trading. 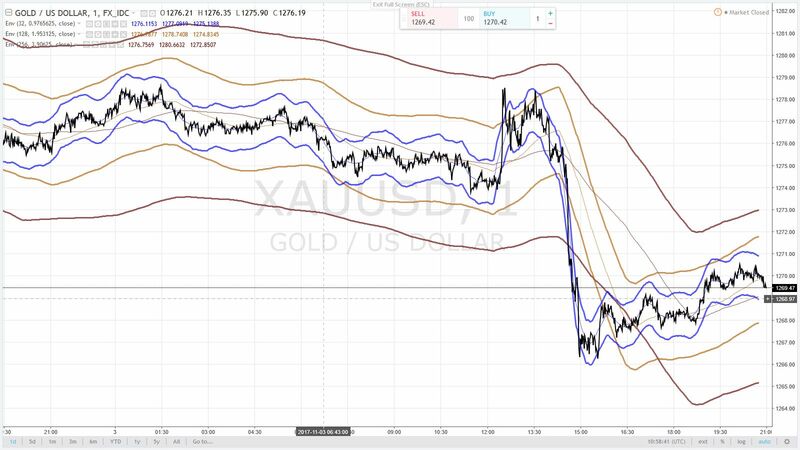 BTW my gold analysis is virtually the same. Hi Gary very interesting methodology !